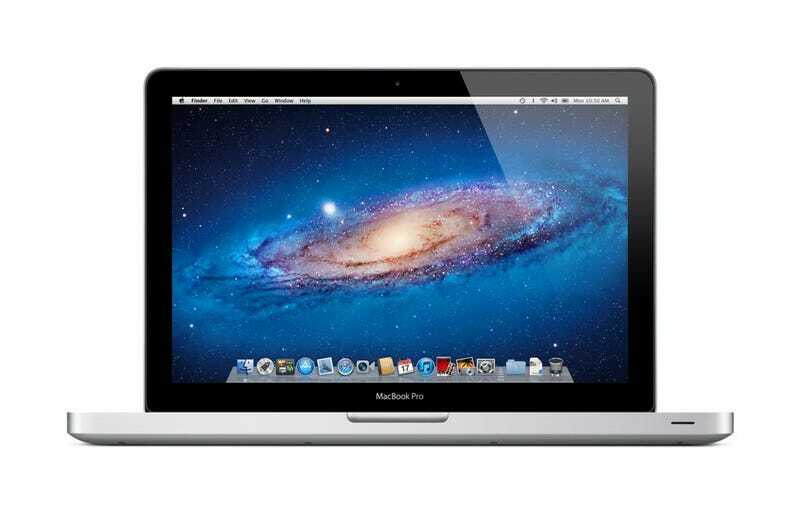 Help me buy a MacBook Pro and accessories? I'm about to embark on some computational genomics, I have grant money, and my laptop is 7 years old and pretty much non-functional. This has led to the decision to buy a MacBook Pro (edit: because none of the software works on Windows). While I'm sure I'll eventually be able to manage stuff on a Linux machine, I don't feel the middle of the busiest semester of graduate school (teaching, taking classes, research, and fellowship requirements) is exactly the time to be fiddling around. I have the money, so I'm going to use it, and I don't know what else I'd spend it on anyway. Bonus: having a Mac computer would help sync my laptop with my iPad and iPhone. I've largely decided on things, but I'd appreciate your opinions on those things anyway, as a sanity check, and I have other things I haven't decided. I'll probably order everything on Monday. I have Dell XPS 8500 Special Editions at work and at home. At work, there's 16 GB of RAM and at home 12 GB of RAM. Both have 64-bit Windows, though at work it's Windows 7 Pro and at home it's Windows 8.1. I honestly find that the most irritating thing about Windows 8.1 is the neon start screen (I can't figure out how to go back to the picture I chose in Windows 8). I also have a Dell XT Tablet running Windows 7 Ultimate. The less said about that, the better. That said, I've used an iMac for close to four years in previous work situations, including a stint involving coding, and currently use some really old MacBooks for various reasons. I don't think I'll have much trouble adjusting, unless something really dramatic has happened between OS X 10.6 and 10.10 that removes functionality - if it has, I'd love to know. I was just planning on getting the best of everything available right now, because I need something now, I have money, and in a few years, second best will probably be obsolete. That means a 13 inch MacBook Pro (I don't care about screen size - I have plenty of monitors) with 3.0 GHz i7 processor (vs. 2.8), 16 GB of RAM (vs. 8), and 1 TB flash storage (vs. 512 GB). I assume I'll be generating a lot of data and I'll need server space and external HDs, anyway, but why not? I'll probably grab the USB CD drive and various cables, including an extra power supply for work (and in the rare case that my original fails). I'll also probably get AppleCare because I have terrible luck. The other reason I am replacing my laptop is that the hard drive has failed three times, the screen has been replaced once, the power supply twice, and when they were repairing it, the keyboard failed. This was all within the first three years, and it's not been under warranty since. Magically, it hasn't needed help since then, but it might have something to do with the fact that it shipped with Vista. That's right, I'm going to blame Vista. Is the Thunderbolt display worth it? Basically, it's a question of desk space for me, not price. I've got 36 inch monitors at home (Samsung) and at work (standard Dell monitor). Someone in my lab swears it's the best thing ever. Should I get the laptop stand as well? The mouse? (I really like this Logitech laser cordless mouse I have so is there something super special about an Apple mouse?) Do you have recommendations for one of those monitor-USB-switcher thingies that my parents have? What kind of hard drive should I use for backup? I thought about Time Capsule, but I've also since heard some really terrible things about it. Do the latest MacBook Pros have a laptop lock thing? A coworker had to buy a case just for a laptop lock for the MacBook Pro he bought two years ago. Do I need a case anyway? I'll be carrying it around in my fancy new backpack's laptop compartment (because my parents were ashamed of my 7 year old backpack). Do you have recommendations for a keyboard cover? I think I want one, because honestly, I could see myself eating in front of my computer. Simple is good. Are there any accessories I'm missing but would find very convenient? Thank you very much for your attention. I'd love to hear opinions on any or all of these things, except Vista, which is probably the work of Satan. Image from Amazon, because I haven't bought anything yet.